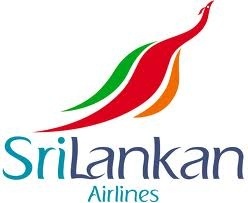 State-run Sri Lankan Airlines will acquire 6 Airbus A350-900 and 7 A330-300 aircraft to upgrade its product and cut costs starting from October 2014, chief executive Kapila Chandrasena said. Sri Lankan will acquire 10 aircraft from Airbus through a mix of operating and finance leases in a deal which has a 'present value' of 1.2 billion US dollars and another 3 from an aircraft leasing firm, he said. Cabinet approval has been given to sign a memorandum of understanding with Airbus for 10 purchase options and the first aircraft is expected to arrive starting from October 2014, he said. 2014-2022. The aircraft are to be delivered over 7 years. Starting from 2014, 6 A340 aircraft which are up to 18 to 16 years old will be replaced by A330-300 aircraft. 7 A330-200 aircraft which are around 13 to 16 years old will be replaced starting from 2017 with A350-900 aircraft. 3 will come from an aviation leasing firm as there were no manufacturing slots available at Airbus in that period. The balance 4 A350s will be acquired from Airbus Industries starting from 2019. With several very old aircraft in the fleet, the airline could not give the same level of service to all passengers and operating costs were also high. "Fuel is 50 percent of our operating costs. With newer aircraft fuel is about 40 percent. That is a huge quantum of savings." Chandrasena said.